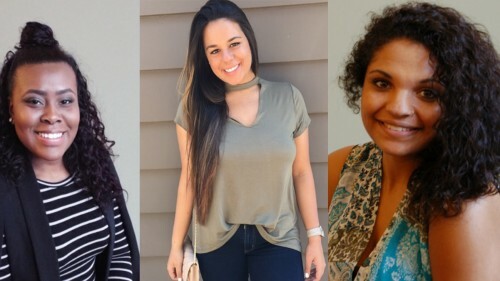 Diamond Moorehead ’20 and Leslie Rodriguez ’21 have been selected to receive Benjamin A. Gilman International Scholarships for study abroad for the spring 2019 semester. This scholarship allows Saints to live and learn in diverse, non-traditional locations world-wide. Moorehead and Rodriguez will be spending the semester in Namibia and South Africa through Augsburg University’s Center for Global Education and Experience. The program, titled “Nation-Building, Globalization, and Decolonizing the Mind,” will teach the Saints about historical and present-day challenges in creating national identity, an inclusive multi-party democracy, and a model for development. Living in Windhoek, the capital of Namibia, they will meet with members of the African National Congress and opposition parties, church leaders, feminist and human rights activists, representatives from the United States Agency for International Development, and student and professors from the University of Namibia. Moorehead, a political science major and criminal justice minor with a Pre-Law certificate, is an active participant in Siena's Black and Latino Student Union (BLSU), where she holds a position on their e-Board and is also an Upstander Ambassador. Siena’s Upstander Program is a peer-to-peer prevention program that seeks to combat cyberbullying. Moorehead, along with her fellow Ambassadors, travel to New York high schools to teach respect and tolerance in online settings. Her participation with both the BLSU and the Upstander Program has helped her develop a higher level of responsibility and empowerment, which she is excited to take with her on her study abroad journey. 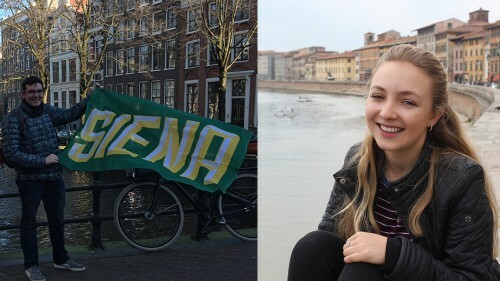 Diamond and Leslie are just the most recent Saints who have been given the Benjamin A. Gilman International Scholarship— since 2011, 36 Siena students have won this award.